We are pleased to announce the release of SyntheticaFX V0.8.2. 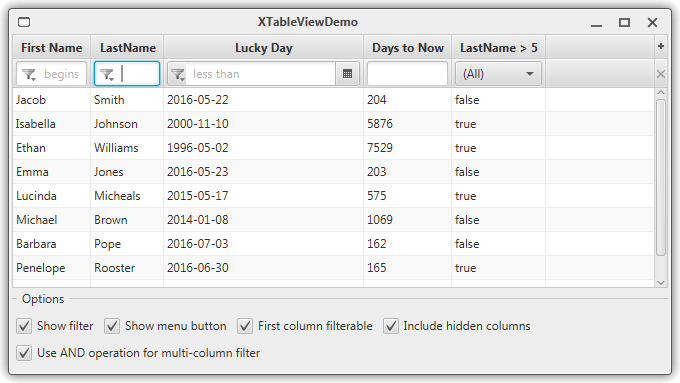 The new release provides a new TableView with embedded filter controls - more details are listed below, for a complete list of changes take a look at SyntheticaFX changelog. Please keep in mind that 0.8.X releases are for Java 8 only, the target platform for V0.9.X and above is Java 9. Additional controls and themes are under construction and will be added step by step in future releases. 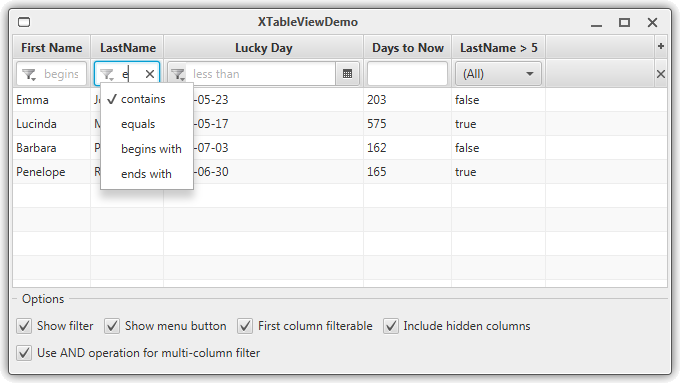 All screenshots were taken with the SyntheticaFXModena theme - all our SyntheticaFX themes are supported too.